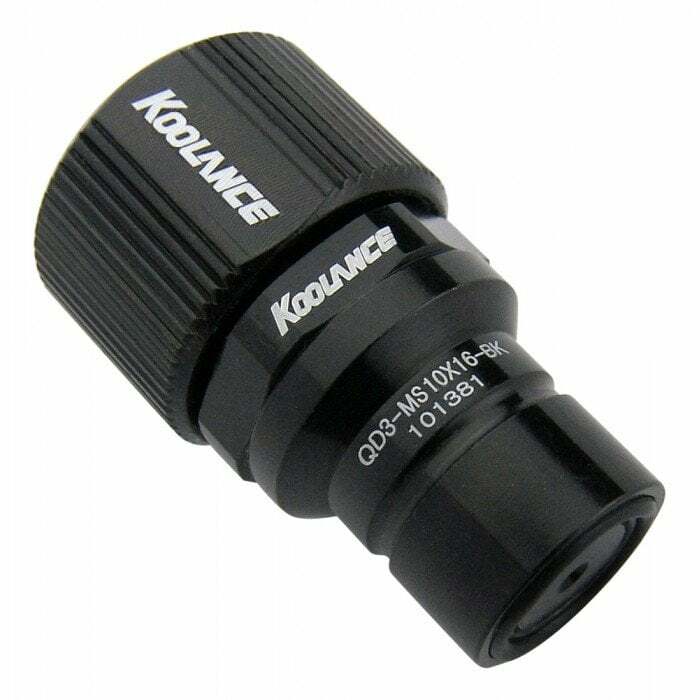 Koolance (patent-pending) quick disconnect no-spill coupling with automatic shutoff. 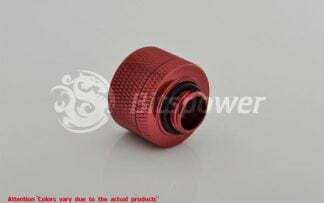 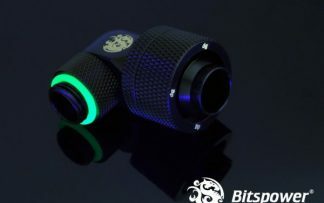 10mm (3/8″) ID, 16mm (5/8″) OD male straight connection with compression fitting. It will only fit a Koolance QD3 female quick disconnect.